STAND-UP PADDLING is a popular water sport that can be pursued whether or not the surf’s up. The strategy behind the sport is not particularly complicated or challenging: Paddlers stand on a large longboard and use a canoe paddle to propel through the water. With lightweight paddles and extra-wide, aerodynamic surfboards— and some good balance, for good measure—boarders can cruise around looking for reefs and fish, ride the waves or take a slow trip up a river. Stand-up paddling originated with the legendary WAIKIKI BEACH BOYS more than a half-century ago. 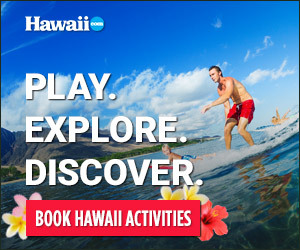 Today, some of Hawai‘i’s surfing greats, including LAIRD HAMILTON, have latched onto the sport.Find rentals, lessons and SUP toursaround the island.